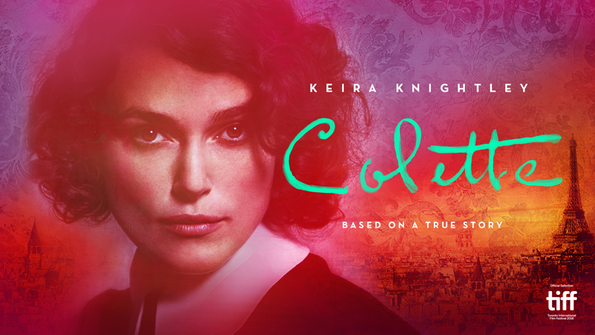 Focusing on the life of French author Gabrielle Colette (Keira Knightly), Colette tells the story of the author’s struggle to get her work recognised as her own whilst married to an established author Willy (Dominic West) who takes all the credit (and money) for her superior writing. Despite the engaging premise, Colette unfortunately doesn’t start out all that well and it certainly takes a while to shift the feeling that this just another ‘by the numbers’ routine historical drama. There’s nothing hugely wrong with the first half but it feels very generic and does little to draw you in to what should be an enticing Parisian setting. In fact for anyone without prior knowledge, its not obvious where the film is set until the characters are seen writing in French, this is a little bizarre and seems an odd juxtaposition as the actors speak English all the way through, surely it would have been better to either fully commit to one language or the other – as it stands the mix just proves to be distraction and takes you out of the film. It’s not all bad news though, the second half of the film is a much livelier and altogether more enjoyable affair; the sordid romps of Willy and Colette are great fun to be a part of, and Colette setting off on tour with a dance troupe delivers some stand out moments that bring so much needed life to the film. Keira Knightley delivers some of her best work here, with a lively and engaging portrayal of Colette that certainly carries the film through the less interesting moments. Its her chemistry with the female cast members that rescues the film. Special mention should go to Denise Gough (in a supporting role) whose character Missy provides another of the film’s highlights. 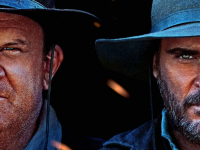 The same however, cannot be said of Dominic West’s effort as Willy. It’s something of flat performance and you will struggle to work out what Colette ever saw in her domineering husband in the first place, a successful author he may be, but based on this performance he was neither charismatic or likeable at any point. Whilst it’s a mixed bag for sure, Colette remains mostly engaging and certainly should prove an entertaining enough history lesson for anyone not familiar with the historical figure, just be prepared to persevere.